Klaire is a printed textiles specialist and a final year Module Leader and personal tutor. Passionate about the importance of CAD, Klaire also leads the first year CAD programme. Eager to maintain relevant industry links, Klaire manages a variety of live industry projects and competition briefs for final year students to take part in extending their portfolio and building on their employability skills. Klaire Joined NTU in January 2017. Prior to that Klaire held a variety of senior design roles within the fashion industry, with a particular focus on Childrenswear and Womenswear. 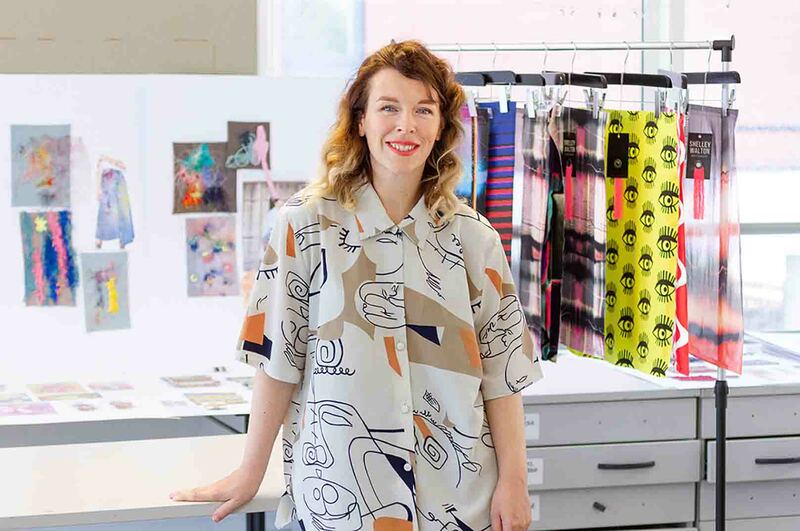 Designing for brands such as Next, C&A and Marks and Spencer, Klaire has travelled extensively for her varied roles extending her industry connections and market understanding. In 2014, Klaire founded Klaire Van Elton Bridal Adornments and shortly after was named Best Bridal Headdress Designer at the 2015 Bridal Buyer Industry awards.